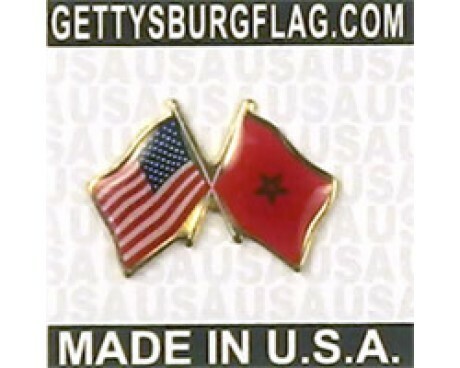 The modern Morocco flag has an ancient history that stretches back for more than one thousand years. The earliest Moroccan flag bears no resemblance to the modern design, but the first flag that does show a clear influence on the current flag of Morocco is still approximately nine hundred years old. That gives the Morocco flag a much longer history than the vast majority of other flags in the world and allows it to serve as an unusually potent symbol of the nation's history, culture, and heritage. 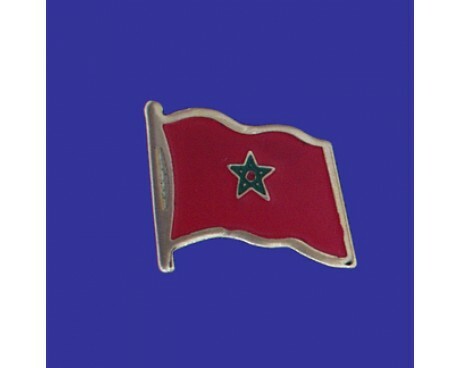 The flag of Morocco has a dark red field with a green pentagram in the center. The red field represents courage, strength, and valor, while the green color represents peace and hope. The pentagram emblem is the Seal of Solomon, which is used as a symbol of good luck and divine assistance. The red field is shared with many of the nation's historical flags, which makes it a symbol of the nation's history. It is also associated with many significant figures in the history of Islam, the nation's most common religion. The color green is also associated with Islam, which reinforces the religious symbolism of the Moroccan flag. The oldest flag of Morocco was the flag of the Idrisid dynasty, which had a simple white field with no emblem. It came into use in 780, and it fell out of use in 974. The flag of the Almoravids came into use in 1070 after a period when there was no national flag. It was created by added a calligraphic image to the banner of the Idrisids. The Almohad dynasty took power and changed the nation's flag in 1147. Their flag had the same red field as the modern flag but used a checkered pattern of black and white instead of a pentagram. The next flag came into use in 1248 and represented the Marinid, Wattasid, and Saadi dynasties. It had a red field with a gold border and a gold pentagram in the center. The Alaouite dynasty replaced it with a solid red flag in 1666, which was used until 1915. 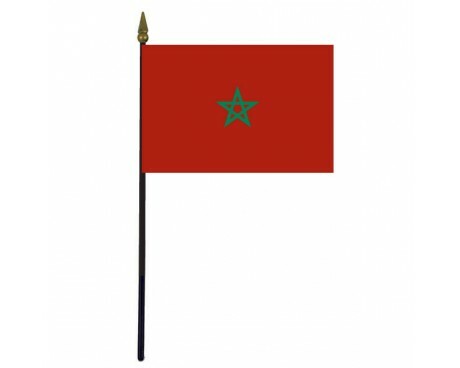 The nation of Morocco adopted the modern flag at that time and has used it ever since.